Pretty much everywhere I go these days to teach a workshop or do a book signing I sample my carrot cake balls (a recipe from my book) and always sneak a few for myself of course. In fact, I'm doing a book signing tonight! If you've been the recipient of a ball or two, I hope you loved them. 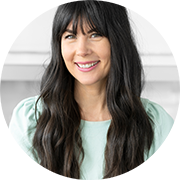 I sample this recipe at talks and book signings because it's the perfect introduction to the delicious, healthy recipes in my book, it's gluten-free, dairy-free, raw and can even be vegan if you swap out the honey for maple syrup. I created this recipe at least five or more years ago as I've been a lover of carrot cake for as long as I can remember. Since this is a cherished recipe in my book, I decided to create a video of it to share it with the world. I realize my book is not available on every corner of the earth (it's out in the U.S. market May 6th), so I hope you enjoy this recipe. Many people have been making these balls and sharing the photos via instagram or twitter with hashtag #joyoushealth. So please share your photo with me! I love to see what you've created. Here's the recipe video and a printable version is below as well. I've made these balls on the Steven & Chris show too. I tend to modify them to what I have on hand so you'll notice many times I've modified the recipe based on what was in my kitchen. I love to add vegan protein powder to kick up the protein. The key to making this recipe taste like carrot cake are the high quality spices. Be sure to buy certified organic when you can for the cinnamon, nutmeg and cloves. A little tip for you when rolling the balls. They can be sticky, so either wet your hands a little or rub some coconut oil on them and they will be much easier to roll. Reserve 1/4 cup (60 mL) shredded coconut in a shallow dish for rolling. Place remaining ingredients in a high-powered food processor (you won't have to pre-shred the carrots if you have a high power processor) and process until fully combined. 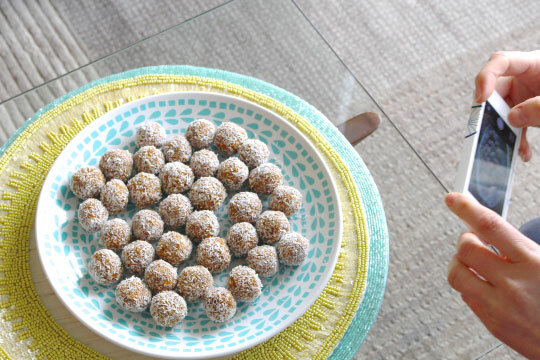 Form mixture into 1-inch (2.5 cm) balls and roll in reserved shredded coconut, coating balls completely. Transfer to a baking sheet and refrigerate for a few hours or overnight. Keep chilled, or freeze in an airtight container for a few months (though I guarantee they won’t last that long). Many people have told me they don't have a food processor. Yes, you could do these in a blender just keep in mind like any raw cookie with nuts and dates the ingredients tend to get stuck around the blade which I why I prefer a processor.. makes things a little easier! Joyous thanks to my publisher Penguin Canada and Genuine Health for making this video possible! The photo above is me sharing on instagram of course... I love sharing my love of healthy delicious food with everyone. 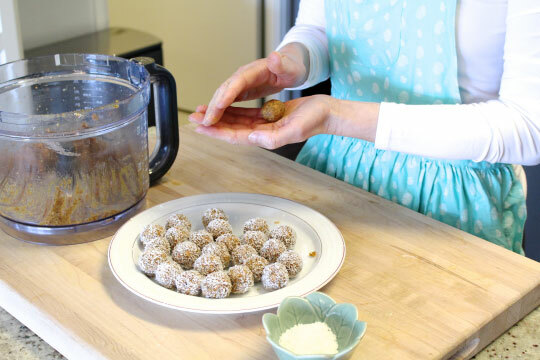 Do be sure to share your photos and hashtag #JoyousHealth when you make these delicious little balls of goodness. These make carrots, walnuts and hemp seeds into a treat! They are quite sweet, so the honey could be reduced, omitted or replaced with a little maple syrup. OMG these are AMAZING!! Not that I predict they will last long, but how long are they good to store in the fridge for (if you don't choose to freeze them)? Delicious, very rich. I should have halved the sweetener (used agave), plus added a little cardamom. Accidentally put it a little more coconut than I was supposed to use. The nut was almonds with hemp protein powder. I doubled the recipe and got about 35. Going to try making these tonight! I just bought the ingredients. I was thinking you could probably alter this recipe and make "Pumpkin Pie Balls" by replacing the carrot with pumpkin puree. what are the health benefits in this recipe? I'm not a big fan of the carrot flavour, but I've been trying to find ways of sneaking them into my diet. I may just have to try this one out. Thanks! Should I soak the nuts first? Thank you! Joy I tried this recipe and it's amazing! They just melt in my mouth and I definetly couldn't stop at just one!! Thank you for sharing this delicious recipe!!! Hello, What can I use in place of the dates? Figs would be a good binder as well. If you are not a date fan, you actually don't taste the dates much in this recipe because of the carrot cake spices. For me, raisin is the best replacement. I have replaced raisins in all raw vegan recipes and they turn out really delicious. These look great! Is there anyway to make them nut-free? Hi, Do you mean you use either 1/4 cup hemp seeds or 1/4 cup plant-based protein powder? Wasn't sure if you meant hemp seed-based protein powder as opposed to the actual seeds. Thanks! Hi Steph, My philosophy is one of throwing calorie counting and the need to associate a # to food out the window. Focus on eating whole, clean foods and you don't have to worry about calorie counting. I just made them and the they are in the fridge chilling. They were so sticky and gooey that I wondered if I did something wrong. They were very hard to roll and handle. Should that be the case? And does the recipe double or triple well? I don't think they will last long around here. They should solidify when you refrigerate them. You can get a different consistency every time you make them because it depends on how juicy/soft your medjol dates are. You can always add some more coconut flakes or even a scoop of plant-based protein powder to make them more dense. Either way, they get more solid when chilled. And yes, you can definitely double or triple the recipe really easily. Enjoy Louise! i would like to make these but can't have cocunut- can you reccomend a substitute ? Thank you. 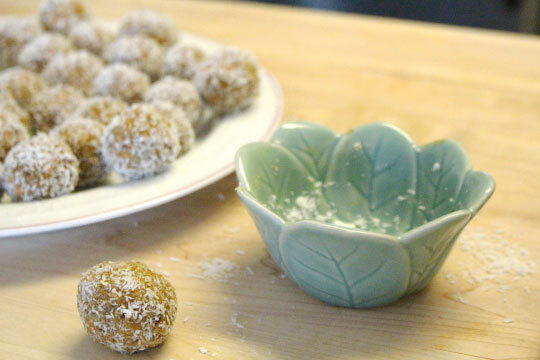 Yes you could roll them in hemp seeds and also add vanilla protein powder in place of the coconut flakes in the actual ball to give it more texture. Or some more nuts. I would suggest tweaking the recipe and then before rolling them all give a little taste test. The beauty of this recipe is you can make it exactly how you want it! I can't find hemp seeds. What would work as a substitute? I was thinking possibly chia seeds or flax seeds? Flax would work very well. Or simply add more nuts. Hi, I have added freshly grated coconut and added toasted Flax seeds. Flax seeds distinct flavour - so I avoided adding vanilla essence. With these changes, the outcome was still AMAZING! Thanks a ton for this recipe. We can make so many changes and try different things everytime! My husband is eating these in lieu of Gu for his training runs! My first attempt at making these! (they're currently in the fridge). I found that the coconut wasn't adhering that well to the balls. Has anyone else had this problem? Think next time I'll try coconut flakes to roll them in. Otherwise so far it's seemed fairly straightforward - also mine didn't look quite as carroty - but it's a learning process, I'm sure they'll be super tasty. Aloha, I was wondering if you could tweek these to be AIP Paleo (no dairy, grains, soy, nuts, seeds (including chocolate), nightshades, etc. Just did it! Delicious! I added 1 tsp of ground ginger. Thanks! Will these taste good if I make a batch a freeze some. Later drefreeze and eat? hi joy do you soak nuts, seeds, and grains before using them? Sometimes yes, and sometimes no. It really depends on what I'm using it for, how much time I have and what kind of nut or seed it is. 100% of the time I soak beans and legumes before cooking or sprouting, but I don't always do this with nuts and seeds.